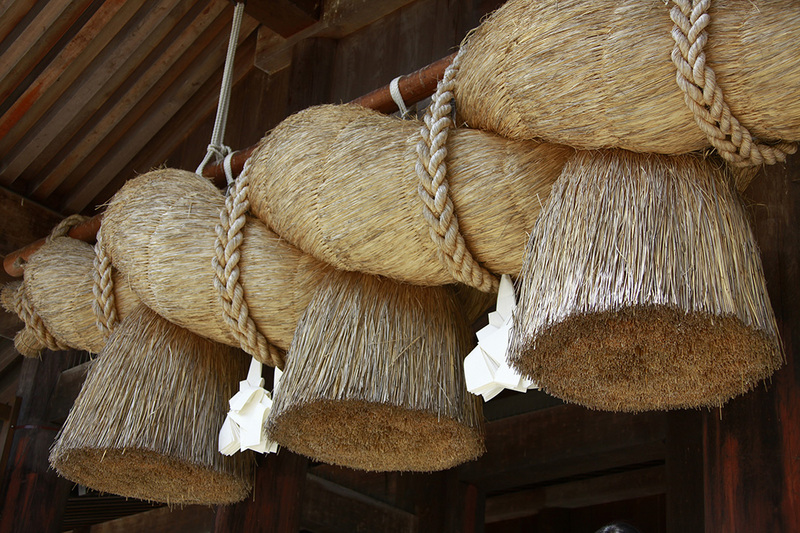 Japan’s illustrative jinja (shinto shrines) you’d like to see at least once in a lifetime! Jinja (shinto shrine) is an architecture based on “Shintoism”, one of the religions in Japan, where deities that appear in ancient mythology, great historic figures from all era, as well as fauna and flora, that is, actually a variety of existence are enshrined as “gods”. Jinja (shinto shrines), from a position different from Buddhist “temples” which enshrine Buddha, have been integral parts of Japanese lives. 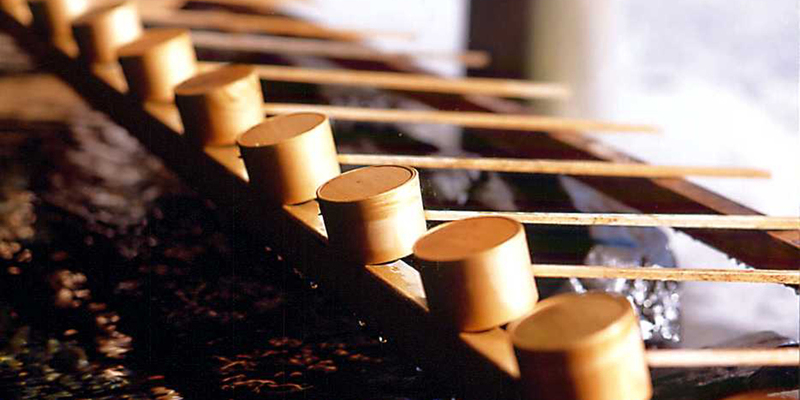 While jinja (shinto shrines) are sacred places that impose strict rules of worshipping, for the Japanese, they are familiar existence where people make a wish on New Year’s Day (“hatsumode”) or buy omikuji fortune that will tell the year’s fortune. 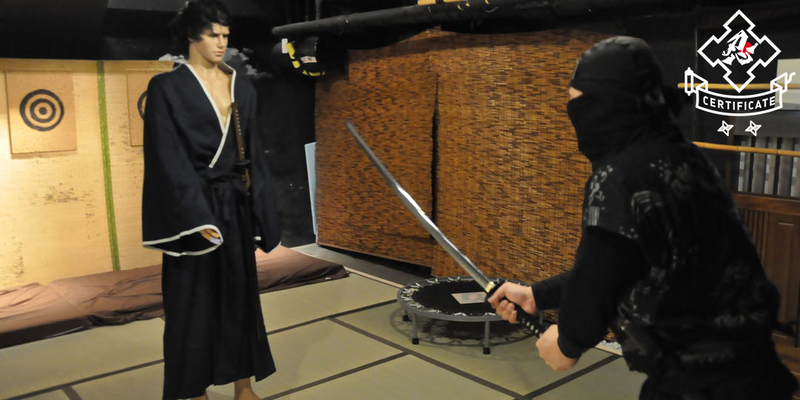 Even tourists have nothing in particular to become nervous, as long as they pay attention to the few rules posted near the entrance. 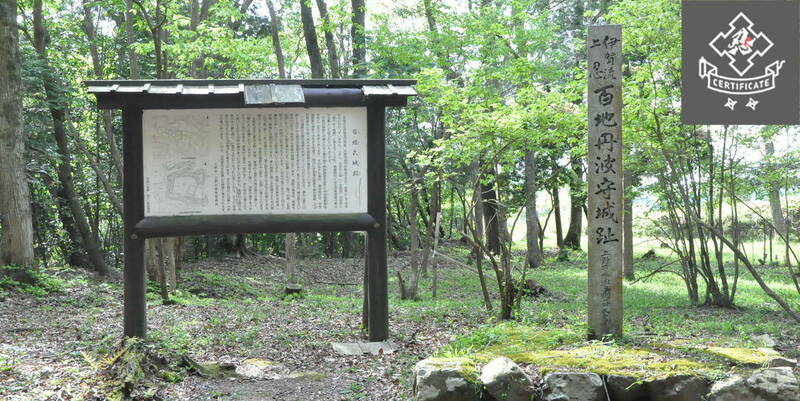 Many jinja (shinto shrines) are said to have been built at ideal locations also from feng-shui’s standpoint, making the visitors feel refreshed. 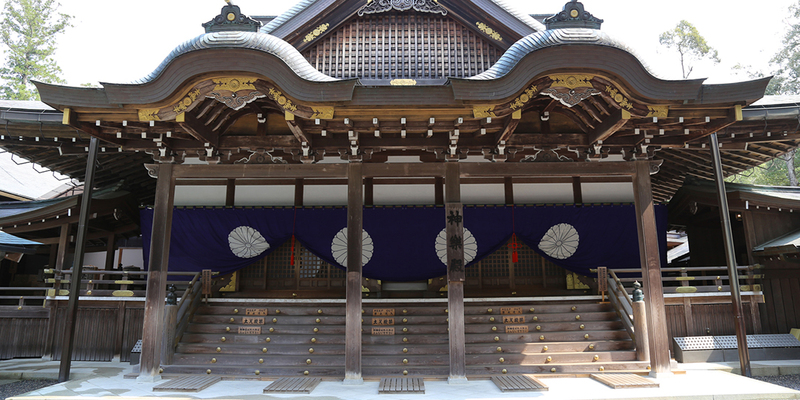 Let us introduce five main locations where such jinja (shinto shrines) can be found. 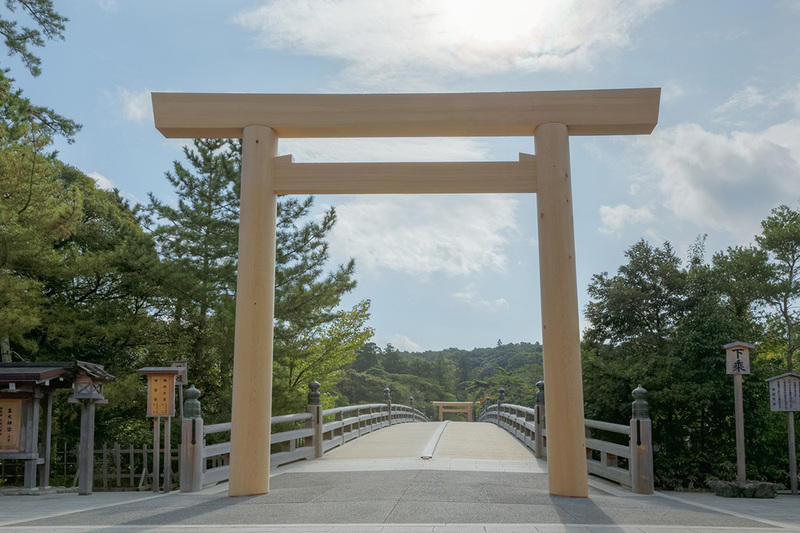 Ise Jingu enshrines, out of the eight million gods, Amaterasu-Omikami, the highest of the gods and is one of the jinja (shinto shrines) which has attracted most people since ancient times. 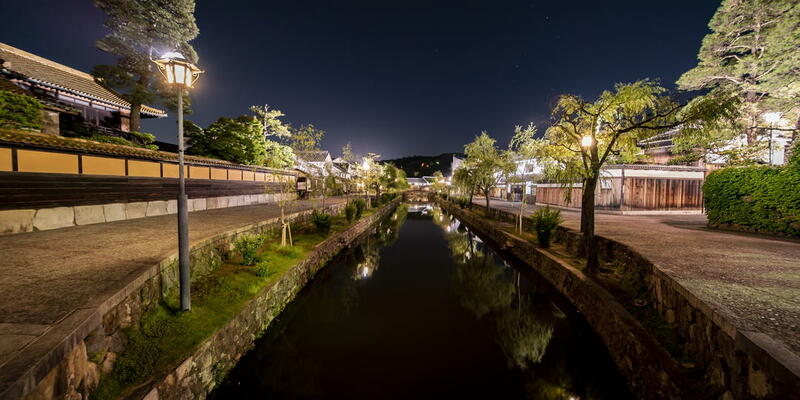 In Edo period, when faith and culture had permeated among the commoners, people where passionate about “Ise-mairi pilgrimage”, and despite the era offered no means of transportation other than walking, millions of people visited the place. Nowadays, there is an exquisite alley called "Okage Yokocho" in the vicinity, and it’s also fund to eat local specialties and confections etc., while walking. 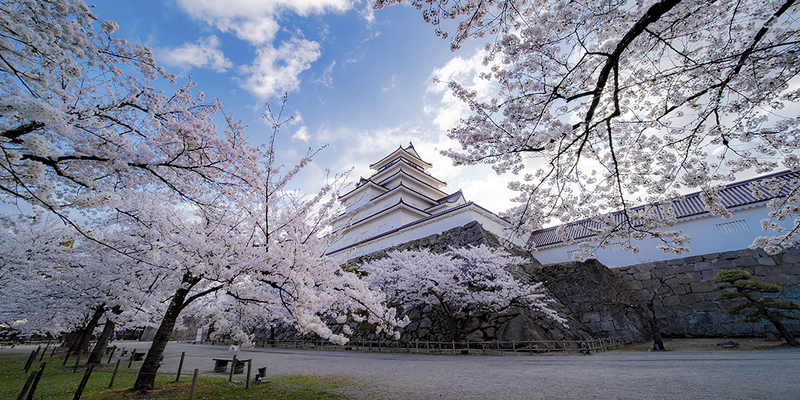 In 2016, the leaders of the countries visited the place before the G7 Ise Shima Summit, and because of that, this place is becoming a globally-known sacred place . 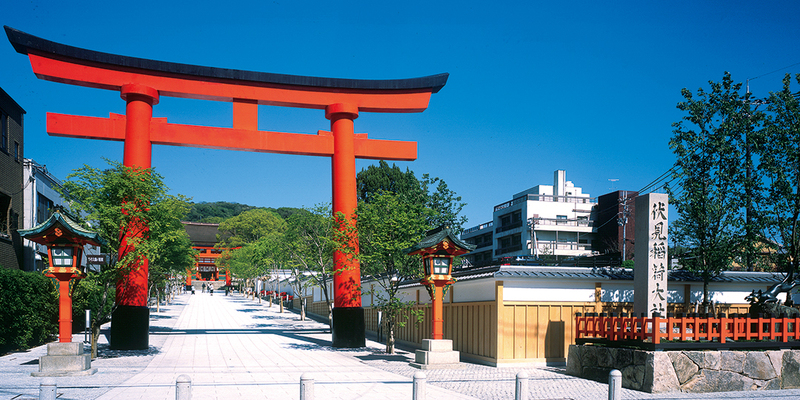 Unending stretch of vermillion torii made Fushimi Inari Taisha famous worldwide. It is also very popular as a photogenic spot where you can take a special shot with a vibrant color in the background. 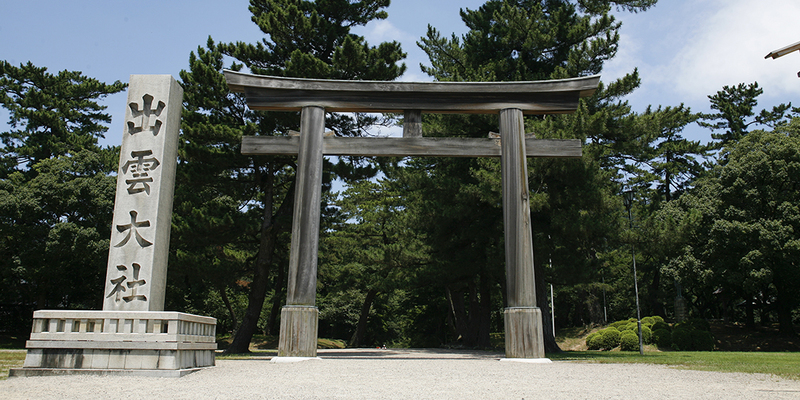 Such landscape originated when people who had prayed came to offer torii as a token of thank you when their prayers were answered, ever since Edo period. 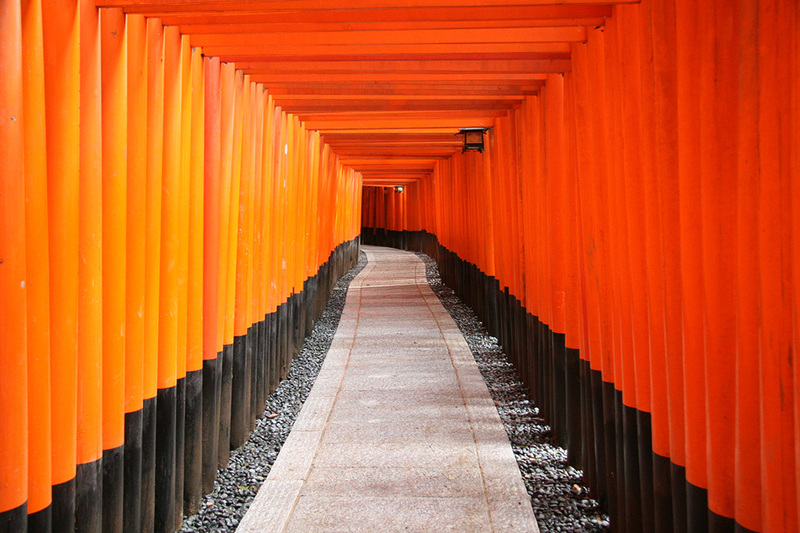 It is said that there are about 30,000 "Inari jinja (shinto shrines)" all over the country that enshrine the gods of grain and agriculture, but "Fushimi Inari Taisha" is the head shrine of all Inari jinja (shinto shrines). According to the history book, it is said that 1300 years has elapsed since the Inari Okami, the enshrined deity, settled. 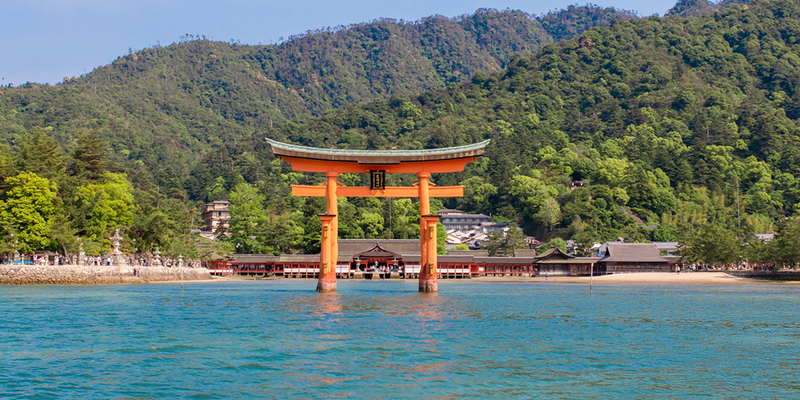 At high tide, Itsukushima Jinja (shinto shrine) shows a majestic landscape with its torii looking like floating in the ocean. 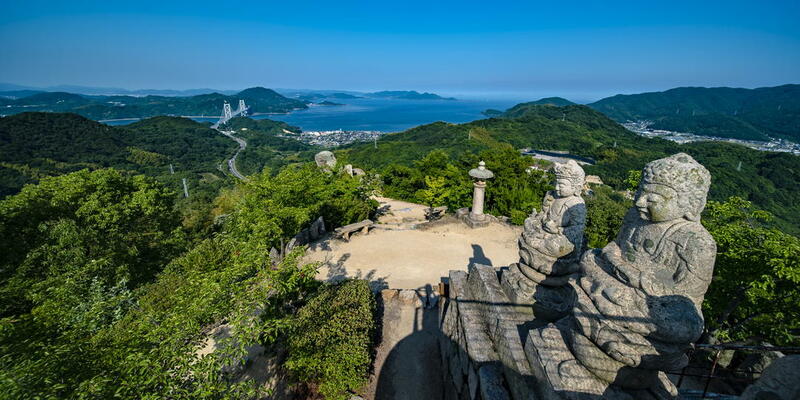 It is located on the island called Miyajima in Hiroshima prefecture, which has been selected as one of Japan's three major scenic spots, also registered as UNESCO World Cultural Heritage Site. It was Taira no Kiyomori, the ruler of Japan in 12th century, who realigned the shrine in present style of floating on the sea. Watching the vermillion torii morphing beautifully in accordance with sunlight, rise and fall of the tides, you can not help pondering on the history of this shrine that stretching over 1,000 years. 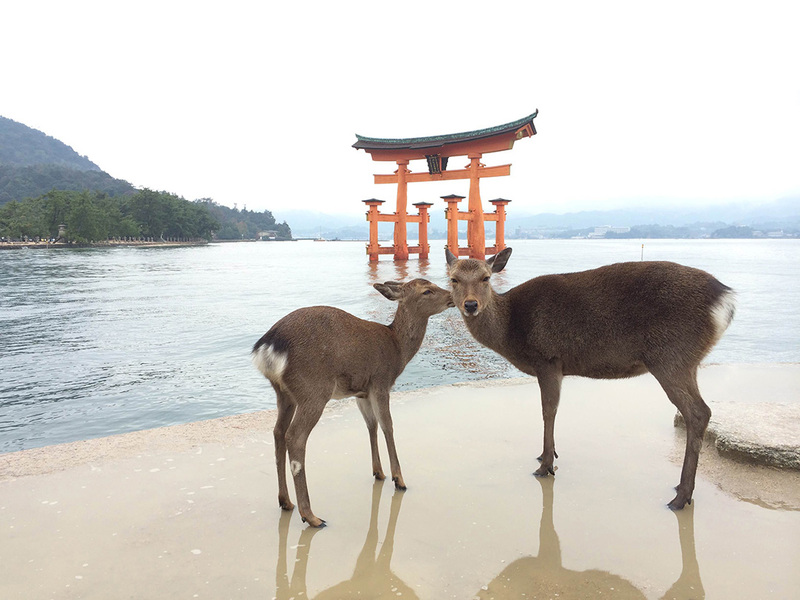 There are lot of wild deer in the island and it is fun to take pictures of them against the background of torii. There are also hotels and an aquarium, so you can enjoy your stay in the island. 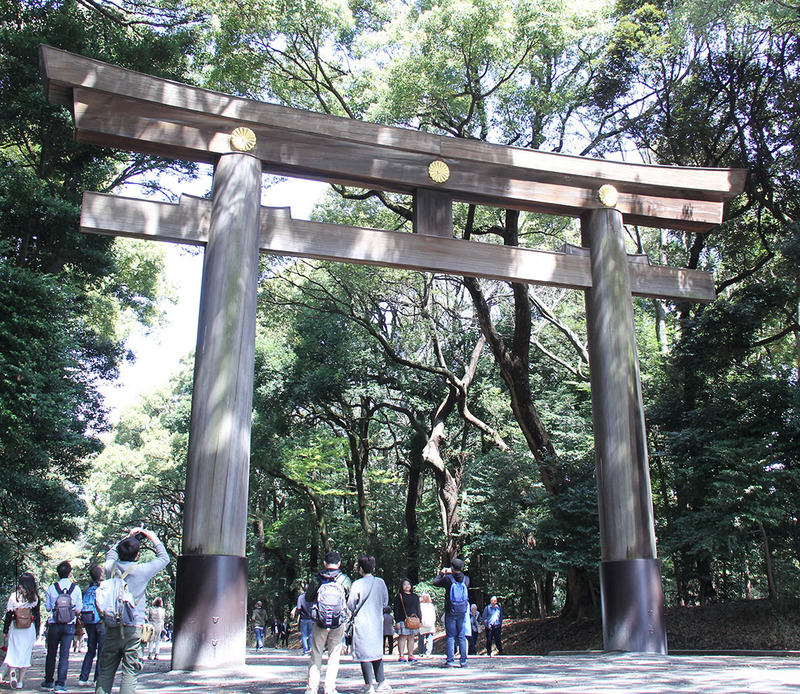 Meiji Jingu is right next to Harajuku Station in the center of Tokyo, a jinja (shinto shrine) that enshrines Emperor Meiji (passed away on July 30th, 1912) and Empress Shoken (passed away on April 11th,1914). The site of 700 thousand square meters is surrounded by man-made yet rich forests. In the spring and autumn Taisai (Grand Festival), there are opportunities to enjoy traditional Japanese culture such as Yabusame, Noh and Kyogen, and during the first three days of the New Year, there are about 3 million visitors, making Meiji Jingu a jinja (shinto shrine) with most hatsumode worshippers in Japan.